Posted March 28, 2016 by Marko Bosman & filed under Uncategorized. 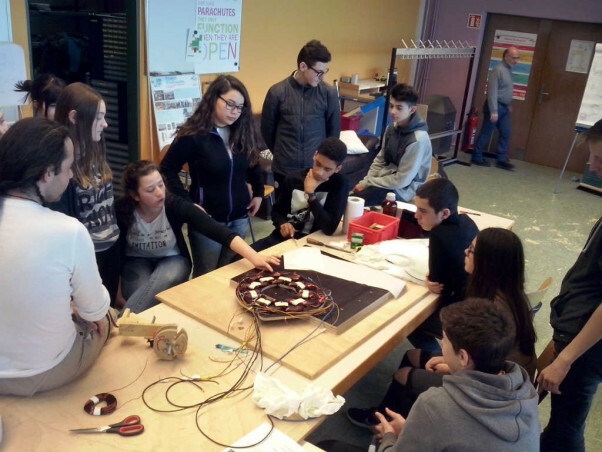 On 17th and 18th March 2016 a conference on renewable energies and wind power took place at the Lycée technique d’Ettelbruck as part of the 10 years anniversary of the project “Windmobile“. Piggott wind turbine experts from different Windempowerment groups presented their experiences related to the construction, the setting-up and the use of wind turbines. Additional topics that will be presented will include data collection and data processing in the fields of wind power and weather. 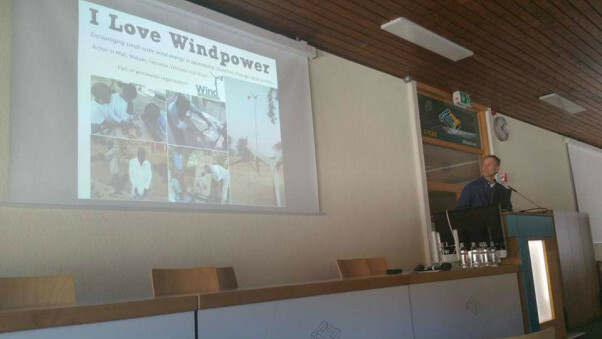 Marko presented the work of I-love-Windpower and explained details on performance measurements of small wind turbines. 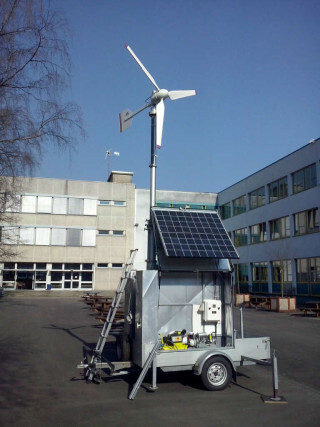 The goal of the conference is to provide the students with an insight into a conference process and to stimulate their interest in technology, social aspects (improvement of life quality through self-made wind turbines in decentralised areas, for example) and scientific approaches. As an additional objective, the conference could influence students’ potential choice of a field of study or career in these areas. One of the workshops was building a Hugh Piggott turbine. 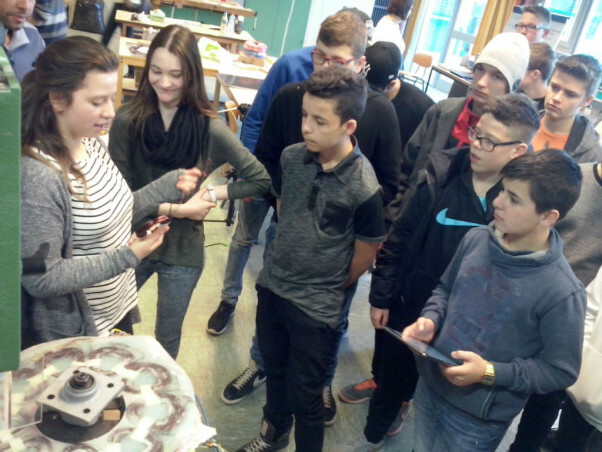 A group of 15 years old students from the school built a 2F type turbine (2 meter rotor diameter with ferrite magnets) under supervision of Jonathan Schreiber of Pure Self Made and Luiz Lavado Villa. 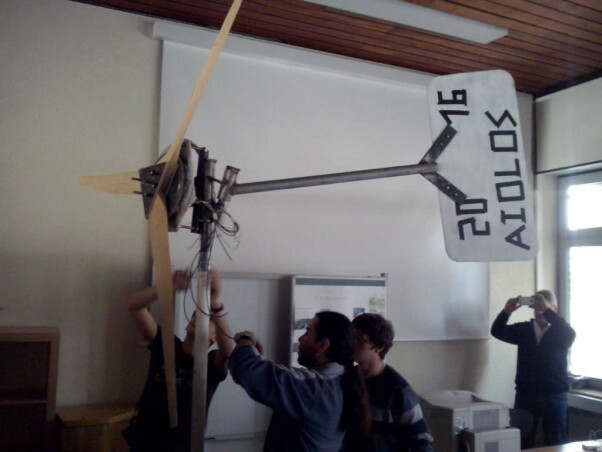 The finished turbine was presented at the closing event of the conference with lots of pride and reward. The turbine will be used for educational purposes.